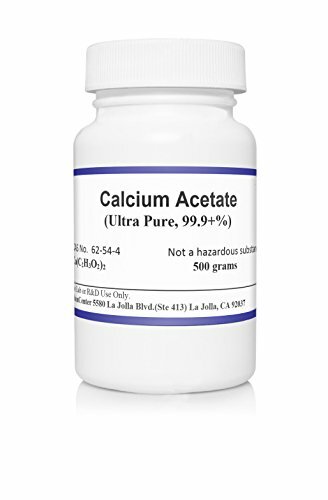 Details: You are purchasing 500 grams of high purity, anhydrous, Calcium Acetate. This is NOT a lower purity Chinese or Korean product. Buyer must be 21 years of age. Buyer assumes all liability for the use of this item. Buyer agrees to not hold the seller or Amazon liable for the use of this item. Buyer agrees to use this item in accordance with all local, state, and federal laws. This is for laboratory and scientific use only! NOT intended for food or drug use. Shipping will comply with all USPS regulations. Item is NOT regulated by the DOT.